IBM in the sale of its PC business in Thailand to Lenovo. Bain Capital in its acquisition of a majority stake in a Thai public company. Japanese companies such as ITOCHU and Matsushita (Panasonic) in local transactions and debt restructuring matters, including, among others, ITOCHU’s recent acquisition of Dole’s operations in Asia (acquisition of Dole’s businesses in Thailand). Douglas also has more than 30 years experience supervising and handling litigation and arbitration matters. He has taken cases to trial in the U.S., and he has handled major arbitration matters in the U.S. and Asia. This experience not only makes Douglas a strong and effective advocate when disputes arise, but also adds depth to his transactional practice. Douglas has a recognized strong anti-corruption practice that includes substantial experience with the U.S. Foreign Corrupt Practices Act (FCPA). He has authored articles and spoken on anti-corruption issues in Thailand and abroad (e.g., Singapore, Japan, Washington, D.C. etc.). Mr. Mancill has locally supervised scores of internal compliance investigations and routinely advises clients on matters relating to the FCPA. His practice also emphasizes debt and corporate restructuring matters. 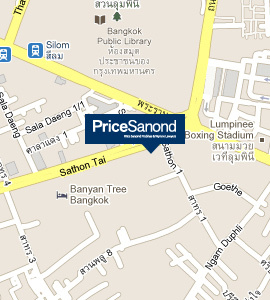 Douglas has handled several high profile restructuring matters in Thailand before joining PriceSanond after the 1997 financial crisis. Douglas holds leadership positions in committees and task forces of the American Chamber of Commerce in Thailand (AMCHAM) and the American Bar Association (ABA). He has spoken at numerous events organized by, among others, the ABA, the International Chamber of Commerce (ICC), LawAsia, the British Chamber of Commerce in Thailand (BCCT), the American Chamber of Commerce in Singapore, AMCHAM, CAL-Asia, the Japanese Institute of International Business Law and the Japanese Ministry of Justice. He has also published articles on U.S. and Thai law. Most recently, Douglas wrote the Thai chapter to the ABA’s International Joint Ventures: A Guide to U.S. Lawyers. Before joining PriceSanond in 1998, Douglas was partner from 1992 until 1998 in the US law firm of Graham & James (now Squire Patton Boggs), which was then affiliated with PriceSanond. He was an associate at Graham & James from 1986 until 1991. Before joining Graham & James, Douglas worked in the legal department of Bank of America and Sheppard, Mullin, Richter & Hampton’s Banking and Finance Department. Douglas’s corporate and M&A experience includes, among other matters, representing a major oil company in its acquisition of a local company that had approximately 50 branches throughout Thailand, representing a major private equity firm in its acquisition of two American Standard companies, representing IBM in its local acquisition of an IT Consulting group within PWC and in its sale of its local PC business to Lenovo, representing Avery-Dennison in its acquisition of the local subsidiary of Paxar, supervising the due diligence of a major Thai bank following the 1997 financial crisis. Douglas also provides general corporate and employment advice to many other foreign companies doing business in Thailand. Douglas is recognized in Thailand for his work on FCPA and fraud investigations. Before his secondment to Thailand in 1998, Douglas worked on an internal investigation by an airplane parts manufacturer into alleged corrupt foreign dealings in Asia, a major embezzlement case, several cases involving alleged self-dealing and several creditor fraud cases. In Thailand, Douglas routinely works on internal FCPA reviews and fraud investigations and claims. He has handled internal fraud investigations and compliance reviews for, among others, an auto parts maker, a major “household name” company in the IT sector, several major companies in the oil industry, the entertainment sector and several medical equipment suppliers. Douglas has an active dispute resolution practice. He handled major several trans-national litigation matters while in the U.S. before his secondment to Thailand, including federal court litigation on behalf of Japanese, Chinese, Indonesian, Taiwanese, Singaporean and Thai parties. While handling such litigation, Douglas conducted discovery in multiple Asian jurisdictions and took or defended scores of depositions in Asia. 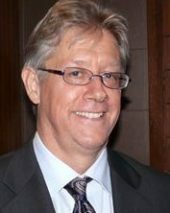 While in the U.S., he handled and worked on several commercial cases through trial, including a distributorship dispute, an option agreement dispute, a bankruptcy adversary case involving complex IP issues and a seven week jury trial on behalf of Bank of America. He worked on an ICSID arbitration matter involving the alleged expropriation of a gem field in Sri Lanka. He has also worked on several Thai Arbitration Institute arbitration matters and ICC arbitrations. His experience handling dispute resolution matters in Asia is broad, and includes handling a dispute over a multimillion dollar claim from a damaged power plant, a dispute over interpretation of a power purchase agreement, a dispute over purported delays in the fabrication of an offshore oil rig, the application of Thai maritime law in foreign court proceedings, the application of Thai law in a foreign probate proceedings and a construction dispute involving the Yadana pipeline between Thailand and Myanmar. Mr. Mancill was named by “Asia Law” as one (of only two) leading lawyers in Thailand in the area of Corporate Restructuring in both 2003 and 2004. Chair, Legal Committee, AMCHAM, 2007 to present. Vice Chair, ABA, International Transaction Committee, 2009. Director, California-Asia Business Council (1995 until Mr. Mancill’s joining PriceSanond in 1998). 33rd International Conference on the Foreign Corrupt Practices Act, “Southeast Asia: Critical Updates and Risk Factors”, 2 December 2016, Washington, D.C. Annual Asia Anti-Corruption Summit, “How to Meet High Stakes Books and Records Requirements: Open Floor Conversations on How to Account for Unclear Items Such as Petty Cash, Commission, and Consulting Fees”, Singapore, 16 November 2016. 4th Asia Pacific Conference on Anti-Corruption, ACI, Singapore, 27 October 2015. Joint AMCHAM-BCCT Conference on Anti-Corruption Compliance, Bangkok, 19 October 2015. “If you think FCPA compliance is hard in Thailand, just consider what it will be like in Myanmar”, AMCHAM, Bangkok, 23 August 2013. AMCHAM’s Annual Labor Law Round-Up, 11 February 2014. Bangkok, Thailand. “Singapore Summit on Anti-Corruption Law and Risk Compliance“, Strategies to decline requests and demands for bribes in Thailand, Singapore, 5 December 2012. “ICC Arbitration & ADR – Focus on Thailand”, ICC, Bangkok, Thailand, 8 June 2012. “International Symposium on International Corporate Law”, Japanese Ministry of Justice, Osaka, Japan, February 2006. “A Few Pointers for Doing Business in Thailand“, American Chamber of Commerce in Singapore, Singapore, 4 December 2012. “Foreign Corrupt Practices Act – Basics“, AMCHAM, Laos Chapter program in Vientiane, Laos on 26 August 2013. “China + 1: M&A Related Due Diligence in China, Thailand and Vietnam”, ABA, Washington DC, April 2005. “Conducting a Due Diligence in Thailand”, LawAsia, Kuala Lumpur, Malaysia, 27 February 2003. “Thai Bankruptcy Law”, Japanese Institute of International Business Law, Tokyo, Japan, March 1999. “Current Enforcement trends in Foreign Corrupt Practices Act Enforcement”, AMCHAM, Bangkok, Thailand, 22 January 2010. “Thai Bankruptcy Law”, Asia Pacific Council of American Chambers of Commerce meeting in Singapore. “The Foreign Corrupt Practices Act – Current Trends”, AMCHAM, Bangkok, Thailand, 23 March 2009. “Conducting a Due Diligence In Thailand”, In-House Congress, Singapore, 27 February 2003. “Security Interests”, AMCHAM, Bangkok, Thailand, 29 September 2009. “Negotiating & Drafting Commercial Contracts”, Asia Business Forum, Bangkok, Thailand, 2 July 2007. “National Treatment and Free Trade Agreements in Thailand”, Shanghai, China, May 2004. “U.S. – Thai Free Trade Agreement”, California-Asia Business Council and the U.S. Commercial Service, San Francisco, September 2004. “A Comparative Look at Thai Bankruptcy Law & Practice”, 16th LAWASIA Biennial Conference, Seoul, Korea. Speaking engagements organized by the U.S. Commercial Service in Thailand for U.S. trade groups visiting Thailand. “Protecting and Securing Investments in the United States”. Singapore Academy of Law, 20 November 1993. Thai Chapter to the American Bar Association‘s, International Joint Ventures: A Guide for U.S. Lawyers. Published 2013. “Leveling the Playing Field” (Arbitration with the Thai Government), Asian Counsel, Vol. 8, Issue 2, March 2010. “The Dodd-Frank Act: Whistle Blower Awards in FCPA Cases“, T-AB, Vol. 1/2010. “U.S. – Thai Free Trade Agreement” – Presented at a California Asia forum on the then proposed U.S.-Thai Free Trade Agreement.